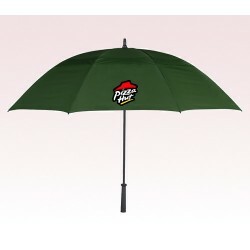 Promotional 58 Inch Arc Vented Windproof Umbrellas are providing a large imprint space of 10" W x 6 ½" H which will assure exceptional brand logo visibility in crowds. 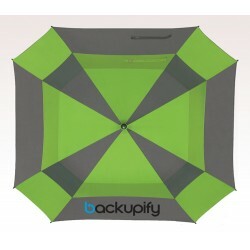 These custom umbrellas have features like automatic open, fiberglass shaft and ribs with EVA handle. 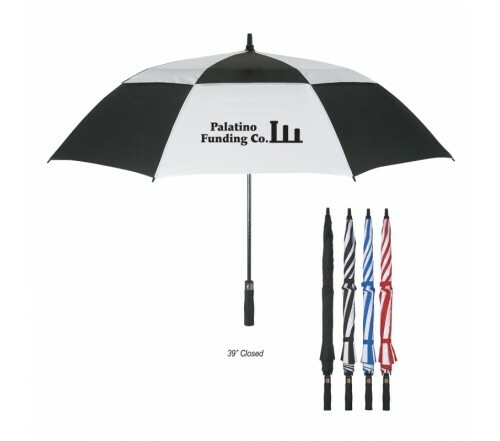 The classic design of these custom Anti-Wind umbrellas justified with two-tone color combinations and also a solid Black color variant. 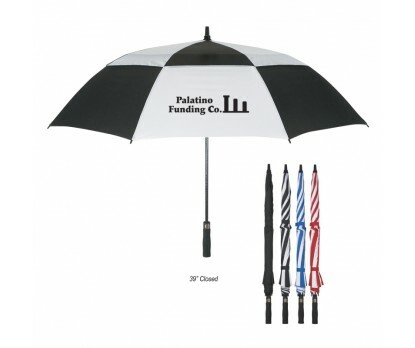 No doubt that your clients/customers appreciate these gifts in tradeshows or conferences in a windy day, as these umbrellas as specially designed to avoid turning inside out or blowing away. 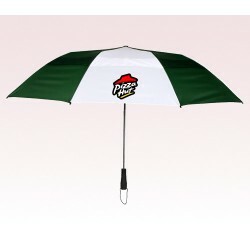 These products are great as promotional giveaways in conferences or meetings of businesses related to weather forecasting and also disaster planning. 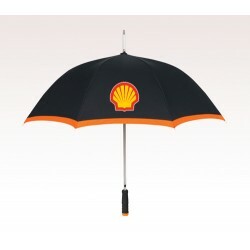 Order fast and get free proofs within 24 hours and also free design. 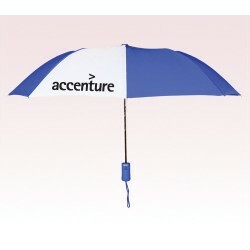 Request a quote to know price cuts that you can avail for wholesale Promotional 58 Inch Arc Vented Windproof Umbrellas.